Real Thai has gone vegetarian! Everyone loves Thai food, but it's not easy to find truly meatless dishes. 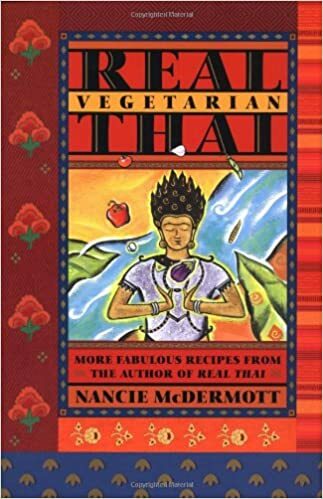 Thai cooking expert Nancie McDermott has developed inventive variations on traditional recipes, providing health-conscious cooks with a repertoire of meatless dishes that captures the vibrant spirit of Thailand. A helpful glossary introduces readers to the seemingly mysterious yet widely available ingredients and equipment used in Thai cooking and offers tips for finding or substituting them. With an emphasis on the classic techniques, ingredients, and flavors of Thai cuisine, this groundbreaking cookbook provides one hundred delicious recipes for everyday meals and special occasions.